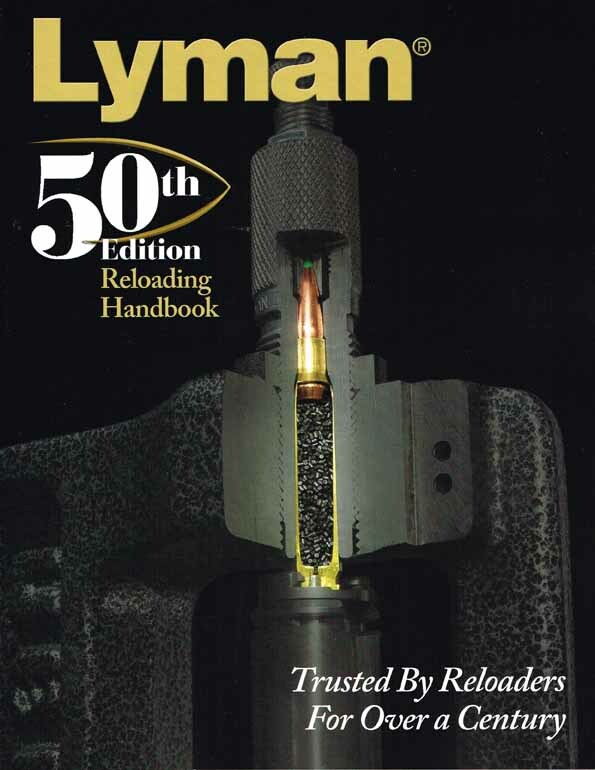 Lyman's long anticipated 50th Edition Reloading Handbook is the most extensive revision in their long and distinguished series of rifle and pistol reloading manuals. New full color edition! Includes pressure-tested data for all of the new Remington Ultra Mag, Winchester Short Magnum, and Remington Short-Action Ultra Mag calibers. Also covers smokeless data for currently popular Black Powder Cartridge Silhouette cartridges up to the 45-120. Expanded pistol section includes data for the .480 Ruger and T/C Encore. Also covers smokeless data for currently popular Black Powder Cartridge Silhouette cartridges up to the 45-120. New cartridges include the 17 Hornet, 6.5 Grendel, 6.5 Creedmoor, 6.5-284, 26 Nosler, 28 Nosler, 300 Blackout, 300 RCM, 338 RCM, 450 Bushmaster, 458 SOCOM and the 50 Beowulf. A wide selection of powder includes the latest offerings from: Hodgdon, Alliant, Accurate Arms and Winchester, as well as the full line of VihtaVuori. Utilizes an extensive selection of premium bullets from manufacturers including Barnes, Swift, Nosler and Combined Technology. Also includes the widest selection of cast bullet data currently available. The best! S/C. 528p.